Leah M. Katz, M.D., M.P.H. The team of physicians at PROS is dedicated to providing the most advanced treatment and the highest standards of care. One way we do this is by offering cancer patients the opportunity to participate in cancer clinical research trials sponsored by the National Cancer Institute (NCI). These trials are available through our tri-state network of cancer centers, so patients do not have to travel long distances to benefit from state-of-the-science cancer therapies. Cancer clinical trials are research studies conducted with patients to evaluate new treatments. Each study is designed to answer specific medical questions and to find new and better ways to help people with cancer. Research trials sponsored by NCI are offered to patients only by experienced physicians in accredited facilities such as ours. People decide to enroll in a clinical trial only after they have discussed the study thoroughly with their physician and they have made an informed decision to participate. Cancer treatments currently available for patients often are the result of earlier clinical trials. In turn, today’s standard treatments may be the basis for new clinical trials to find better ways to treat cancer. The doctors at PROS are accredited by the National Cancer Institute (NCI) to participate in cancer research trials. This means they have access to the newest, most advanced treatment protocols available in the country for cancer treatment. Patients who wish to benefit from these cancer clinical trials may do so only in cancer centers such as ours that are accredited by the National Cancer Institute. Our physicians have participated as Principal Investigators in cancer research trials for over 20 years through the Radiation Therapy Oncology Group (RTOG), sponsored by the National Cancer Institute. Our research team has been recognized nationally for the outstanding quality of its research, and hundreds of patients have participated and benefited from these research studies. Clinical trials are available for most types and stages of cancer. The doctors determine whether patients are eligible to participate in these clinical research trials. Many of the cancer trials available through PROS are offered through the Radiation Therapy Oncology Group (RTOG). Our physicians have participated in RTOG research studies for nearly 20 years. RTOG is a multi-institutional cooperative cancer research organization funded by the National Cancer Institute (NCI). RTOG, which is composed of 250 major research groups such as ours, has been the leader in radiation therapy cancer research for 30 years in the United States and Canada. Click here for more information about RTOG. 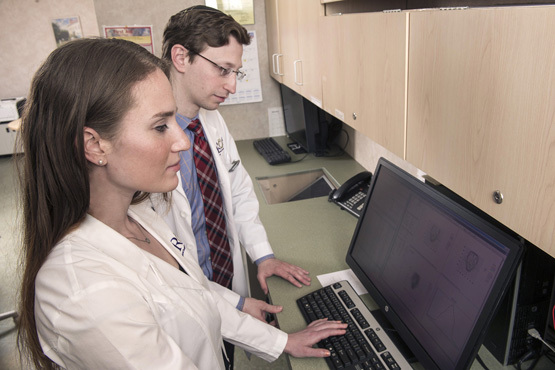 Our physicians also collaborate with physicians at the Thomas Jefferson University Hospital Cancer Network for RTOG research. For more information about the radiation therapy clinical trials available through the Jefferson Cancer Network, click here. The Doctors, Nurses and Technologists at PROS are always available to respond to your needs.